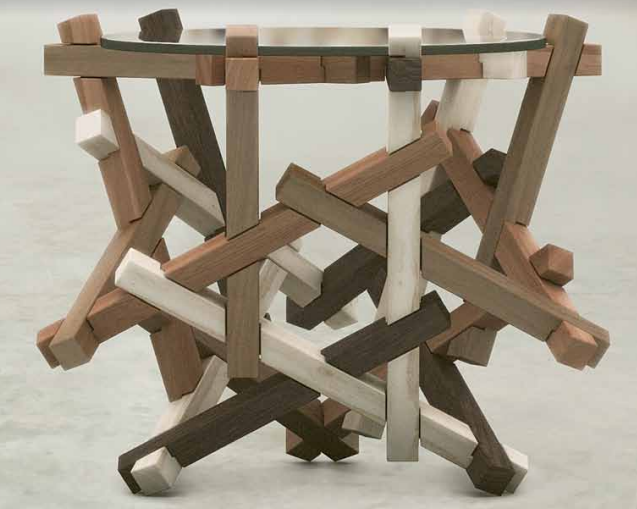 Earlier this year, I wrote a post about puzzle furniture, a small but growing niche of the puzzle world. We explored modular sofa, chair, and desk designs, as well as impressive tables designed by the puzzle wizards at Praktrik. But what happens when you combine a designer of fiendishly clever puzzle boxes and a furniture designer with an impeccable knack for melding mechanical puzzles and beautiful woodworking? You get the Wisteria Puzzle Cabinet, an absolute masterpiece that serves as both a stylish cabinet and an incredibly complex puzzle box. It’s the most beautiful and complicated safe you could ever want, and it would hide in plain sight in your home. The puzzly aspects were designed by Robert Yarger (also known as Stickman in the puzzle box world) and the actual cabinet built by Craig Thibodeau, and together, they’ve brought this mind-blowing piece of puzzle art to life. Granted, the price of an piece like this is pretty steep. Although that’s out of my price range, it’s a testament to how much preparation, design, and labor goes into a puzzle as gorgeous and labyrinthine as this cabinet. Even at five figures, it seems well worth the price. Now, if you’ll excuse me, I’m going to go check every piece of furniture in my house for secret compartments. You know, just in case.